In our area, the northwest USA, we experience heavy rain and snow during fall, winter, and early spring. This water collection on the cover, even with a cover pump in operation will cause the water level in the pool to drop. 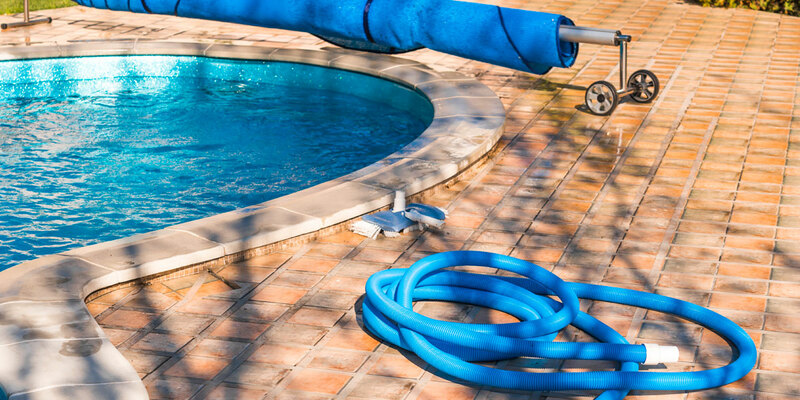 It is common to open a pool in the spring to a water level at or just below the skimmer. Add water to the pool until the level at or just above, 1-2 inches, normal operation. The extra water will allow a vacuum to waste, if your filter has the option, and still be at normal operating level. Above ground pools are generally lower with the water level being just below the return line. I wish you a happy pool season!